Imagine you’re a Division I college basketball player. How would you feel if your coach left in the middle of the season, right when conference play started? After being the national runner up last season, the Wisconsin Badgers would be the last team most would expect to have that problem. But at midseason, Hall of Fame bench boss Bo Ryan retired and put Wisconsin in a bind. It wasn’t just that the Badgers’ coach left — at the time Wisconsin was 9–9 and 1–4 in Big Ten play. The program named assistant Greg Gard as the new head coach, but no one thought the Badgers had any chance of making it to the NCAA Tournament. But Wisconsin and its tough-minded players didn’t give up. And that resilient attitude has them playing in the Sweet Sixteen tonight. 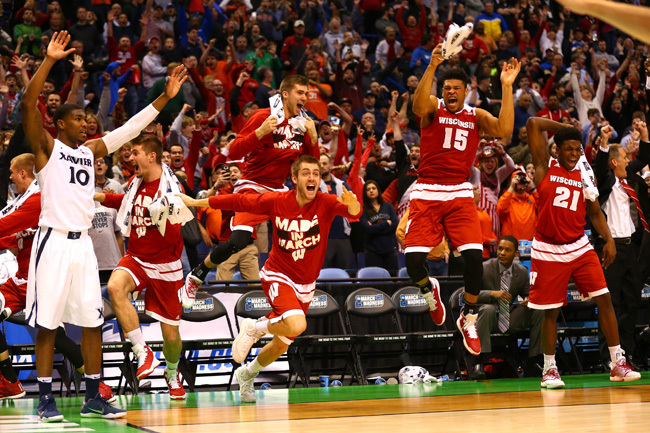 The Badgers reeled off wins against top teams such as Iowa, Michigan State, and Maryland. All of a sudden, they were relevant again. Wisconsin finished the season 20–12, which was good for a tournament berth as a No. 7 seed. Making it into the tournament wasn’t enough. The team planned on making some noise — which it quickly did. After victories over Pittsburgh and Xavier in the first two rounds, Wisconsin has caught the attention of the nation. Now in the Sweet Sixteen, the Badgers have the potential to be a major threat to every team left in the field. ​Leading the Badgers is Nigel Hayes, who’s averaging 15.9 points, 5.8 rebounds and 3.0 assists per game. Another key contributor is Bronson Koenig with 13.3 points per game. Freshman Ethan Happ has made huge contributions, averaging 12.8 points and 7.4 rebounds a game. Wisconsin is sound offensively, but it’s their stifling defense that makes them dangerous. The team only allows 64 points per game, which is 26th best in the nation. Wisconsin also features a lot of long and lean players that can be troublesome when trying to enter the lane. While the Badgers don’t have an explosive attack, they can put enough points on the board. They scored 70 or more points 13 times this season. They also have a good mix of players who can light it up from beyond the arc and forwards that can back down in the post. 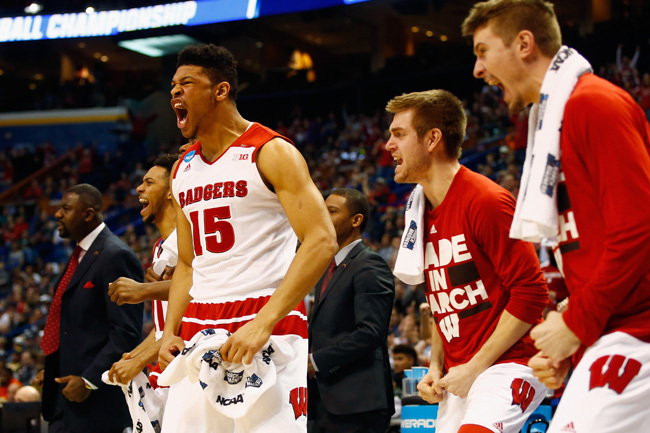 Wisconsin has shown they can win in many ways so far in the tournament. They won a low-scoring game on Friday, defeating 10-seed Pitt, 47–43. Then on Sunday, they busted brackets by besting number two seed Xavier, 66-63, on a buzzer beater courtesy of Koenig. The Badgers will play six seed Notre Dame on Friday at 7:27 p.m. ET in the Sweet Sixteen. This squad has all of the qualities to be dangerous the rest of the tournament. It exhibited a lot of heart and toughness this season, which is a formula needed to find March Madness success. Coming back from a 9-9 record and losing a Hall of Fame coach shows that nothing fazes this Wisconsin team.